The best way to practice for your cscs test and ensure that you are prepared and have a good understanding of the questions and answers you are likely to face is by taking some cscs mock exam questions. 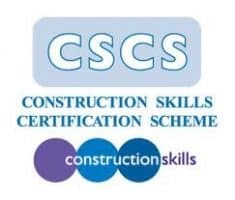 As of April 2012, the old cscs health and safety test has now changed to the CITB health, safety and environment test, this includes a bank of new and updated health and safety questions for both site operatives and supervisors. Ever since the 2012 update there has been a lot of confusion in the behavioural case studies questions, the problem is because these questions and answers are not written in the cscs book most candidates are not aware and they do not know what to expect on the day of their tests. To put this simply the case study questions are not in the books or online because they are there to test you and your reactions to onsite safety critical scenarios. It does not matter which cscs card you are going after, whether it is the red, god black or the green card it is of high importance that you get in enough studying and mock questions as you possible can before you exam to better prepare you for what to expect. Try to complete as any cscs mock test papers to have a feel of the type of questions you will be faced with on test day. Here we have provided you will some mock cscs test questions and answers that you might get in your real test, this will give you a better understanding if you are ready or need to do some more reading. The answers to this cscs mock test with be at the bottom of the page. 1. Which of these types of fire extinguishers are most suitable for use on an electrical fire? 2. Why is it so important to sign in whenever you are on site? 3. What should you do if you find a safety hazard but no one else has noticed it? 4. When you are working in a hearing protection zone you must always? 5. Class 3 ladders are suitable for? 6. Why are site inductions important? 7. Protective mid-soles on your footwear are used to? 8. When does your employer need to provide a first aid box? 9. Why is it important to keep your working environment clean and tidy? 10. If RPE is needed for a task but you cannot find it what should you do? So close, keep taking a few more you will get there.